You can usually read a lot about Krakow in the media. According to research by the Polish Tourist Organisation, it is still the most recognisable Polish urban brand in the world. Last year alone, the city was visited by nearly 13 million tourists, including participants of business events. 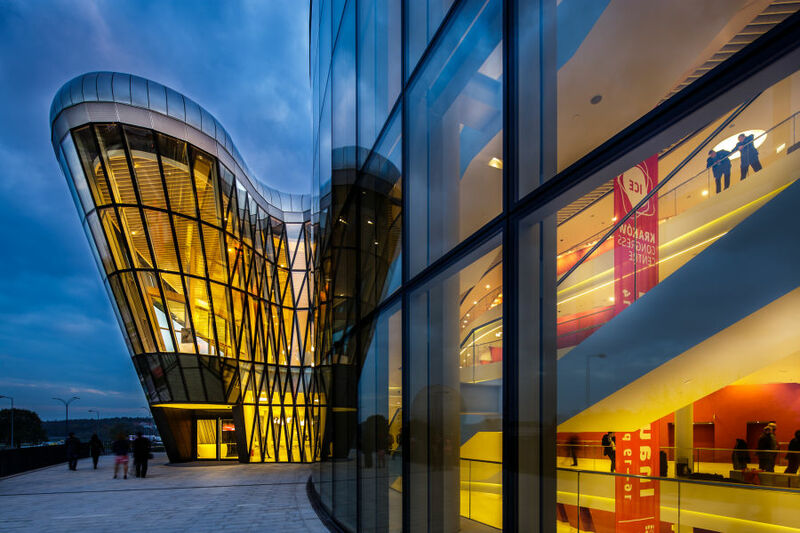 All events organised in the ICE Kraków Congress Centre strengthen the urban brand of Krakow. Its value increases thanks to marketing activities, advertising campaigns and media messages. One of the priorities when designing promotional activities by host cities, facilities and organisers – is to place the city brand in texts, materials and graphics. The Krakow Festival Office – the operator of ICE Kraków – also operates in line with this strategy, in cooperation with the local industry and the Krakow Convention Bureau also operates. The full name of the venue is the ICE Kraków Congress Centre (ICE meaning International Conferences and Entertainment). Data from the Media Monitoring Institute, with which ICE Kraków cooperates in the field of monitoring content about the congress centre, indicates that just in 2018, the slogan “ICE Kraków Congress Centre” – and thus the name of the city itself – appeared in the media 13,394 times. It is also worth recalling that in 2018, 200 events were organised at the ICE Kraków Congress Centre and 255,000 guests visited the venue in 2018. From the inauguration on 16 October 2014 to the end of 2018, the Centre hosted nearly 800 events. During this time, ICE Kraków was visited by 1,022,000 people from all over the world. The events presented concern the area of business events. This is related to the specific functioning of the meetings industry. Information about congresses and conferences can be published well in advance. Venues and institutions often fight for the organisation of congresses and conferences for three to five years. Cultural events – festivals, concerts, ballet performances – will of course be included in the ICE Kraków calendar, as they are every year, but a lot of information about the stars and concert tours cannot yet be made public. This is connected to the contracts with event organisers. Cultural events will be successively announced at www.icekrakow.pl. Negotiations with the organisers of more events are in progress, and the current list of events is available in the Venue Calendar on the website.